Our nutritional advice is backed up by the latest research from the UK and around the world, keeping you at the cutting edge of the latest developments in animal nutrition. We aim to provide you with high quality technical advice, allowing you to make real improvements on your farm. 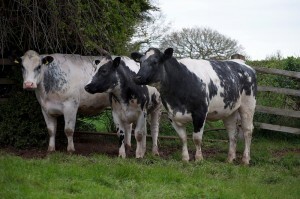 Our technical team can provide advice on balancing rations for milking cows, dry and transition cows, as well as calves and youngstock and beef cattle. We are also able to provide up-to-date advice on diets for ewes and lambs. Successful ration formulation requires balancing the requirements of the animal with the ration ingredients. Our team will ensure feed efficiency is high and rumen function optimized. Technical support will allow you to make the most of feeds and allow diets to be fed using available equipment and facilities on your farm. For example, we can check your rations to make sure you’re not feeding too much protein as this is not only costly, but can also affect fertility. Rumen stability can be looked at which will help maximise intake and avoid acidosis. Why not let us help you to get the most out of your feeding regime?